If you're bored and bummed out that the past couple days have been frigid and frozen, you are not alone. And if you have been preparing to shut yourself in for the rest of this season, you're on the wrong track, even if you're on a strict back-to-being-fit . Grab your coat and get out. Here are a couple of things to check out this weekend that's sure to give you some rest and respite. In the heart of winter, Cuisine en Locale presents 'Once in Valhalla', an event combining locavorism and lore in a four-hour food fest featuring eats, music, and theatrics. The Viking-themed event features all-you-can-eat-meat and wintry fruits and roots in a 10-course Nordic feast. 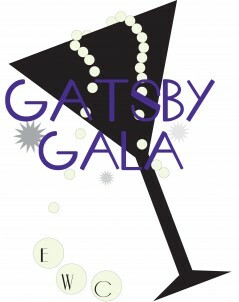 All you Gatsby fans are in luck--Jumpstart's Young Professional Board will celebrate its 20th anniversary with a roaring-'20s-inspired party. The party will include live music, a DJ, and an open bar. Don't forget to wear your '20s-themed attire, as well. Tickets can be bought online or at the door. Unfortunately, attendance by Mr. Gatsby played by one Leonardo DiCaprio is not guaranteed. It's time to get up and be active. ClimbAmerica! focuses on raising awareness of the dangers of heart disease, researching the disease, and offering free programs to motivate people to be active. Although there isn't really any time left to train, if you think you are up to the challenge of climbing the stairs of 100 Summer St. or Prudential Tower, then this event is for you. In order to participate, climbers must be over the age of 11, and climbers between 11 and 17 must get permission from a parent. You can register online or at the event. And if none of these events tickle your fancy for the sole reason that you want to just lounge at home, then this event is for you! Since winter is the perfect time to focus on your digs, and make that living room more loungey, a home and decor show should freshen up your dwelling space just in time for Spring. Get tips, attend lectures, shop, and watch demonstrations by the pros at the Boston Home Show. And don't miss out on bargains that await you over at the Boston Design Center's Red Tag Sale (1 Design Center Pl., Boston), not a far distance away from the home show. And if all else fails, and snow is really what you're in to, then head over to Boston.com's interactive maps to find that perfect spot where you can be a kid again (or go with your own!) and go snow sledding in one of Greater Boston's bunny hills, free of charge.